Contact Golden State Pressure Washing Fresno, California’s premier pressure washing & property maintenance company! 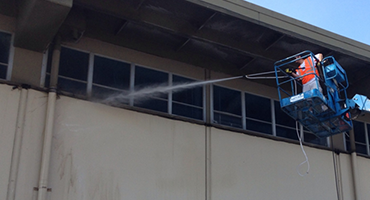 Golden State Pressure Washing is based out of Fresno, Ca and is proud to service the entire central valley of Ca. I Chris Hartje owner of G.S.P.W. am on site of every job big or small. And take pride in having some of the best commercial cleaning equipment in the industry. I have spent countless hours studying, researching, and educating myself on this trade. Chris is a proud member of the Pressure Washing Institute as well as the United Association of Mobile Contract Cleaners. With years of pressure washing experience. I would enjoy showing you how we can make the exterior of your property a more inviting place. Yes, we are fully licensed and insured. 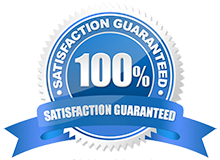 We would be happy to send over any necessary documents for any job. Yes, if that is your preferred method of payment, we will gladly accept Credit Cards. In some cases yes. We prefer to come and meet with management, walk the property and discuss what your properties needs are. That way we can give exact pricing. Absolutely not. 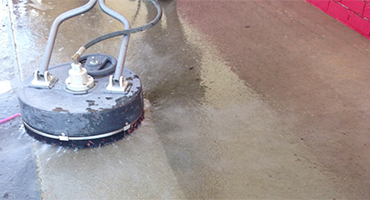 With years of experience we are fully aware on how to properly clean all surfaces. Are your cleaning agents safe? We use fully Eco-friendly and bio-degradable detergents and cleaning solutions. We have found some great alternatives to harsh chemicals. Insuring safety for all. We prefer to use the water on-site. If this is a concern we can haul our own water if necessary.